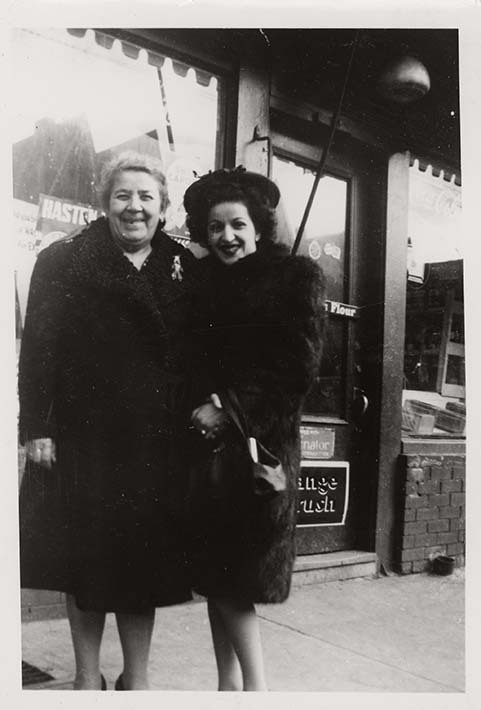 This is a black and white snapshot of Antoinette (Toni) Ciccarelli with her mother Brigida Bassano. The two ladies are standing close to each other smiling at the camera. Toni is wearing a black knee-length fur coat with a hat. She is holding a black purse. Brigida is wearing a black knee-length coat with a brooch on the collar. They are standing on a street in front of a store-front.